Lens type:clear lenses(you can wear it for fashion,or replace them with your prescription lenses). 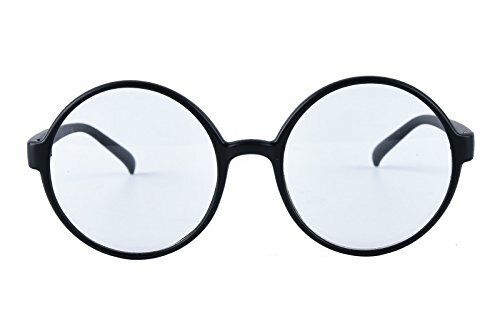 Vintage inspired circle oversized frame .you can wear it for fashion or replace the lenses with your prescription lenses. Note:this eyeglass frame is more fit for a medium or big face.